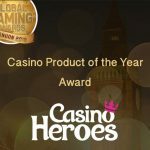 They say that the chances of winning the jackpot are one in a million – but yet for some of us, it seems that luck is more on our side than for others. This somehow seems to be true for Norwegian players who have managed to hit online casino jackpots quite a couple of times. We do need to wonder then if they are the luckiest people around – or should we all move to Norway to let this luck rub off on us? The Divine Fortune Jackpot Slot has indeed been a fortuitous treasure trove for a number of Norwegian players. Last year, in February 2017, a Norwegian man hit a huge win of more than €70,000 on a single spin. And again, in August 2017, another jackpot winner from Norway took home a cool €50,000. They say all good things come in threes and that couldn’t be truer for a lucky Norwegian woman who hit the Divine Fortune €97,600 Jackpot last week, on the 2nd of May 2018. Sources have revealed that this lucky 40-something year old woman in a Norwegian city in the Haugesund area deposited €100 at around 22:20 and struck gold just six minutes later! Yes, she won the Divine Fortune €97,600 Jackpot. What a superb stroke of good fortune. They must be doing something right up there in Norway to get so lucky. 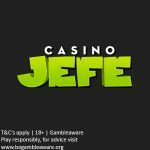 *The amounts reported here are the accurate jackpot amounts at the time of writing this piece, they may change after this posting depending on whether the winnings have been won or not. 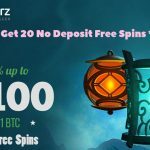 You can play any of the abovementioned progressive jackpot slots, including Divine Fortune Jackpot (if you think the fourth time’s a definite charm) at any of these reputable online casinos, such as: Guts Casino, Rizk Casino, Casino Cruise, Sloty Casino, Vegas Hero Casino, and CasinoHeroes. Posted in progressive jackpot slots and tagged May 2018 offers, progressive jackpot slots. 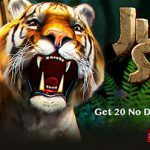 ← CasinoJefe May 2018 Casino Promotions – Get all the promotional news for free spins and more!